Today I’d like to tell you about a wonderful little mountain, in a wonderful little town, in Canada. Wait! Come back! It’s barely in Canada, I promise. Due north of Spokane, WA, about 20 minutes over the border, is a place called Rossland. It’s a quiet mountain town, with a handful of bars and accommodations. It has reasonable lift ticket prices. And while I would recommend this mountain to nearly everyone, for three 22-year-old college students it was a paradise. We arrived and checked into the Mountain Shadow Hostel. Small, warm, clean, and bunk-bedded. If you’re looking for something a little more upscale, there are more options downtown. I’d recommend the Prestige Rocky Mountain Resort if you like the known feel of an upscale chain hotel, or the Red Barn Lodge for a classic B&B. And of course, there is always the never-overpriced mountain lodge. Just keep in mind that the drive from downtown Rossland to the mountain is under ten minutes. As for us, as long as we had a place to fall down for a few hours each night, we were good to go. When it comes to nightlife in Rossland, there a few pretty good options. 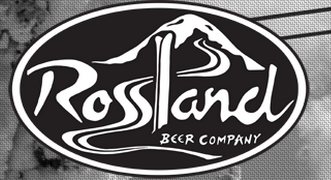 I would be remiss not to mention the Rossland Beer Co. They brew some excellent beer, but it’s more of a tasting room than anything. This means they close at 8pm on weekends, so “nightlife” may be a bit of a stretch. I would also be remiss if I did not tell you about the local chapter of the Fraternal Order of Eagles. The FOE is a century-old organization of performing artists, who also apparently started Mothers Day. Yeah, I don’t know either. The lodge (sorry, “Aerie”) was packed with octogenarians and their parents. There was a band playing jazz. They had clearly been told, in great detail, exactly what jazz was; but had never, in fact, heard it played. It was the strangest place I’ve ever drank a pitcher of beer to myself and been glared at by someones great-great-grandparents. If you remember only one thing about Rossland, though, it’s that you need to go to the Flying Steamshovel. The first thing we noticed upon walking in was the giant stump in the middle of the room. This was, of course, for playing Stump; a game in which you try to hammer nails into, well, a stump. Warning: this game gets a little dicey after you’ve consumed enough to no longer be swinging the nine-pound hammer straight, but before you’ve consumed enough that it doesn’t hurt when you bring the hammer down into, say, your own kneecap. The next morning we groggily made our short way up to the slopes of Red Mountain, and it was incredible. Sitting squarely on the famed “Powder Highway,” the first thing we noticed was that everyone, from infants to our Fraternal Eagle friends, was on huge, floaty, twin-tipped powder skis. This was a good sign. At the time, Red was a fairly small mountain. The internet tells me they they’ve since opened up access to an entirely new peak, and that they now boast some 4200 acres of skiable area. Guess it’s time to get back there. It remains the only mountain I’ve skied where you can consistently ski slopes of forty-degrees plus, through the trees, with four-to-ten foot drops throughout, and be well within bounds. On a named run. Under the lift. Some of these runs were so difficult, they took us upwards of an hour to get down! For instance when I noticed a six-foot boulder-drop below me- I stopped, picked a line, and headed for it through the trees. A dozen feet away, I realized I wasn’t headed at a good angle, and so I turned to stop. I slid down the hill sideways, coming to a stop at the lip of the small drop. And then, ever so slowly, I began to tip over, over, over and headfirst off the little cliff. But after that first day, I stopped falling off rocks, and simply fell into the zen of skiing. The steep slopes, the trees, the powder; Red is the perfect mountain. But don’t take my word for it- wait, actually, yes! Do take my word for it. And then book yourself a long weekend. Pack the powder skis and boards into your ski bags (or rent on the mountain) and go experience the the Rossland slopes. Oh, and don’t forget your passport. It’s still in Canada, if only just.